Life Lessons from my Personal Coach. Hello everyone, trust we’re all doing fabulous! I am so excited about this year 2018 winding down. It’s been such destiny defining year for me and I’m so grateful to God for all the surreal experiences this amazing year has brought me. I’ve started putting my thoughts together for #31Days31Voices. Did Jesus die for you? Are you sure you’re God’s child? What came with the salvation package Jesus gave you at the cross? Do you communicate with the Holy Spirit? How often do you communicate with the Holy Spirit? Do you obey when HE speaks? How often do you hear from God? Do you sieve your thoughts through the word of God? Do you know the power you carry through God? Has He figured out every detail of our life? Are you in charge of reminding God what He has to do? Do you know why God created you? Do you have to tell Him to provide for the things He created you to do? Are you enforcing your power on earth? Is this where He asked you to be? Are you doing what He asked you to do? Is it a good or God idea? Have you totally surrendered your life to God? Is your aim in life to be rich and live the flamboyant life or to be a vessel for God’s power? When you study the Bible, do you read your meaning into it or the Holyspirit teaches you? When you’re in a fix, who do you call first, friend, family or God? Are you still fighting the demons and devil when the Bible says stand in authority and command? Are you confident in God’s power? Is Christ at home in your heart or your soul is snatched by social media? In life, we unconsciously are swayed by distraction and subtly remove our gaze from God and before we know it, we’re a long way away from home. Although, this things come in harmless, good packages, if only we would see as God sees with wisdom and understanding. Some of our goals are not based on the word of God, which is meant to be our life’s support. We the children of God should be the examples to others; sadly, we are carried away because the world seem to be living the life. We need to die to self. This thought has plagued me for a while. When God created us He did it with a purpose in mind, so when we surrender our lives to God, we are to ask Him the why (Purpose) of our existence. Just like when you buy an appliance or gadget, you get the manual so also is life. Therefore, we are to get the blueprint from God and follow His plan for us and trust Him enough to know the battle is the Lord’s. We get into trouble with greed and dissatisfaction when we begin to chase things that are meant to be added to us. When we follow the purpose of God for our lives, we don’t need to become jealous or compare but we will be focused on our journey to bring glory to God. Spending time in the secret place and reading the bible is wow! It is life transforming, I can testify. Fellowship with the Holy Spirit and obeying His direction is just supernatural. Obeying the Holy Spirit has changed my life, regardless of how difficult and uncomfortable it might be, the results are usually rewarding to say the least. I feel like I just got the hang of the real Christian walk. Without a doubt, I am convinced we are not called to live ordinary lives but extraordinary supernatural lives. I know we get busy and there’s so much pressure but I want to encourage us to be deliberate with our spiritual intimacy, do something today that would make your spirit leap for joy. If you’ve not read your bible in a while, just start out by spending ten minutes today, if you usually study and pray for ten minutes, today do twenty minutes. You can download the YouVersion (Bible) App and please send me friend request when you do so we can study together, my name is Adepero Ajayi there. Always remember that God is in charge of your life and if you want to live on your terms, it’s usually a frustrating adventure, however, living a surrendered life is bliss! What has the Holy Spirit taught you recently? Love & Respect by Dr. Emerson Eggerichs. This book blew my mind about all I thought I knew about relationship and I was humbled. Lmao Literally went to think about my life and relationship in a new way. Until next time, Subscribe via mail, follow us on our social media platforms below. 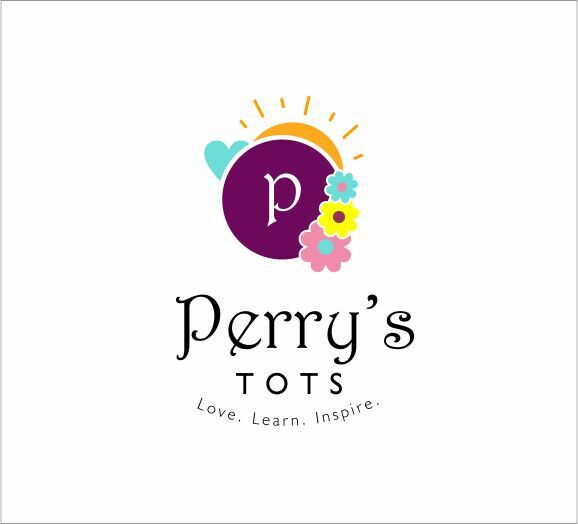 Perry’s Tots Tees are available for sale for #5000 only. Delivery available.